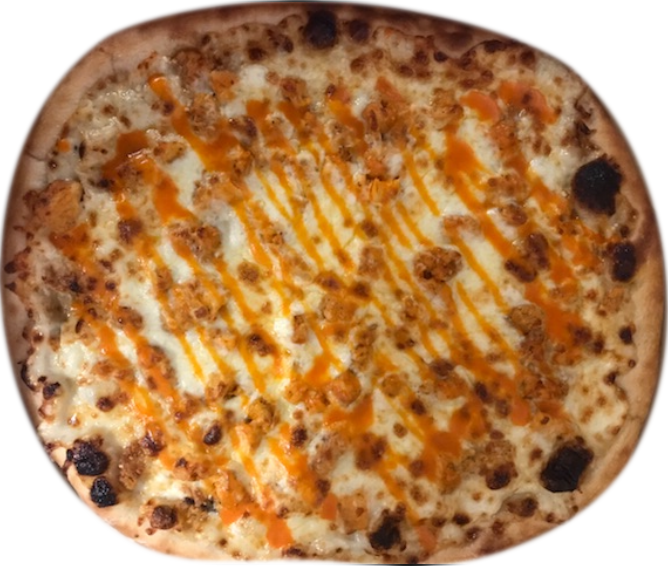 This pizza has a blue cheese base that's been covered in marinated Buffalo chicken and mozzarella. We've got everything but the bones. This is a pizza for true meat lovers. 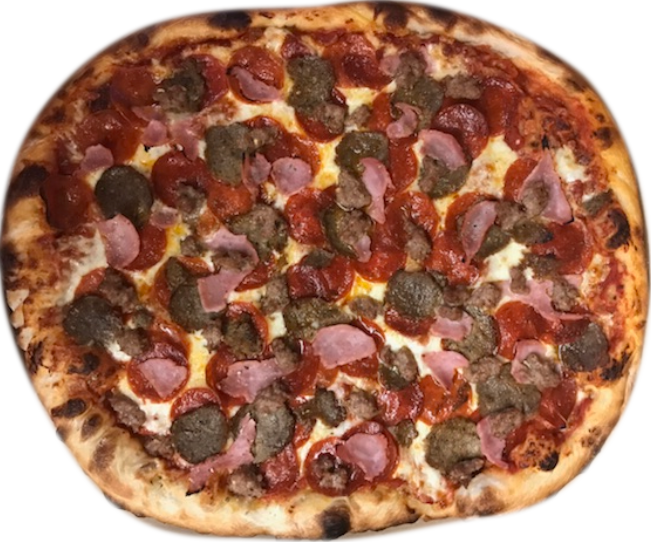 It has our rich tomato sauce and a blend of mozzarella cheese covered with all your favorites: Italian sausage, ham, pepperoni, and meatballs. 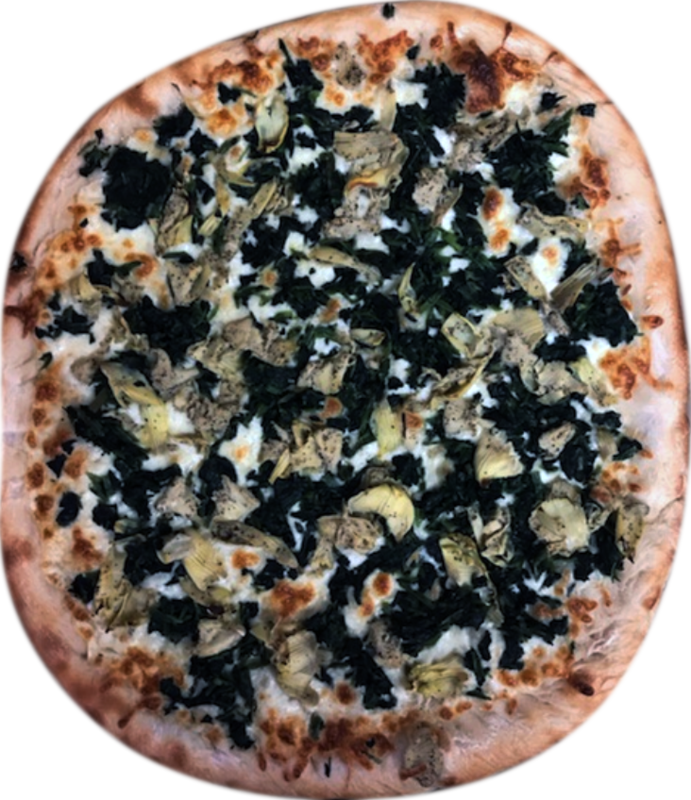 A white base pizza with colorful arrangement of spinach, mozzarella, and marinated artichokes, seasoned with just the right spices. Brandani’s Pizza has been serving Rochester for over 35 years. We are a family owned and operated business who have one thing in mind, you! Quality food at an affordable price,that is our passion that is our drive. Our West Henrietta location is located on West Henrietta Road in front of Movies 10 and across from Jays Diner. Indoor seating with outdoor seating coming soon (parking lot currently under construction). Our newest location is at 200 Park Point Drive right next to the RIT campus. We have indoor and outdoor seating. "Delicious pizza and friendly staff. We order at least once a week." "Excellent pizza (and I'm from Brooklyn, NY)...nice friendly folks..authentic atmosphere...I'm a 'regular' now!" "This is officially our delivery pizza of choice. 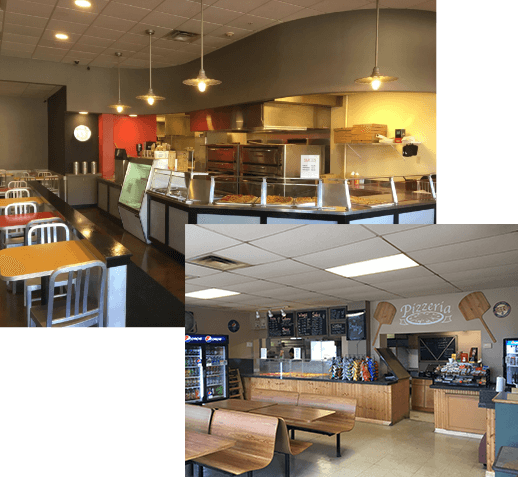 Better crust than most other pizza places in town, good selection of toppings, good selection of non-pizza snacks, and fantastic customer service! Now all I need is to taste test some of that ice cream I keep hearing about." "Brandani's is the greatest pizza ever. Period. End of sentence." Sign up for our exclusive email newsletter to receive special discounts, promotions and news!